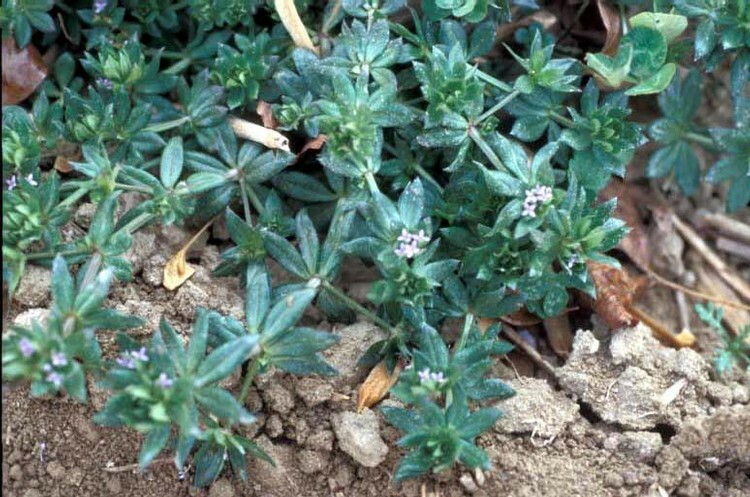 A prostrate winter annual with whorled leaves, square stems, and pink to purple flowers. 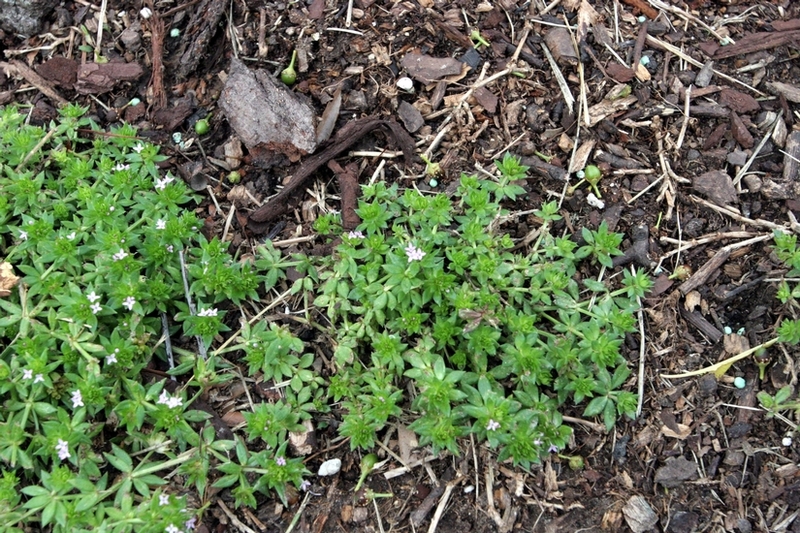 Field madder is primarily a weed of turfgrass, lawns, and occasionally winter small grains. This weed is distributed throughout the southern United States. Whorled with 4 to 6 leaves at each node. Leaves are lanceolate to elliptic in outline, approximately 5 to 15 mm long and 2 to 4 mm wide. Leaves taper to a distinct tip and are hairy. May be either prostrate along the ground (typical), erect, or prostrate with some tips ascending. Stems are square in cross-section and also hairy. Occur in clusters at the ends of the stems. 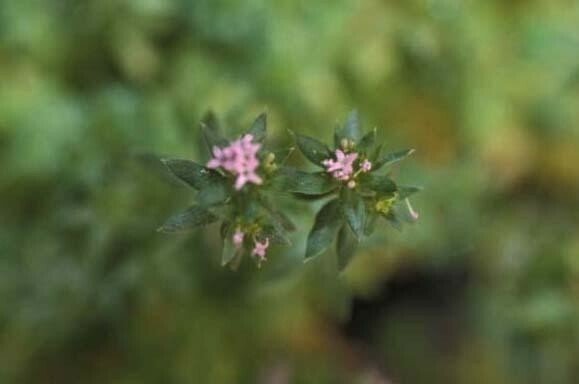 Individual flowers are 3 to 4 mm in length and pink to purple in color. 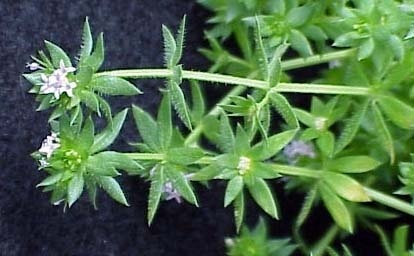 The square stems, whorled leaves, and pink to purple flowers are all characteristics that help in the identification of field madder. 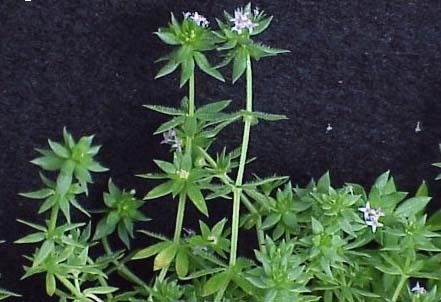 Field madder is often mistaken for Catchweed Bedstraw (Galium mollugo). However, the leaves of the bedstraw are generally larger and occur in whorls of 6 to 8 unlike field madder. 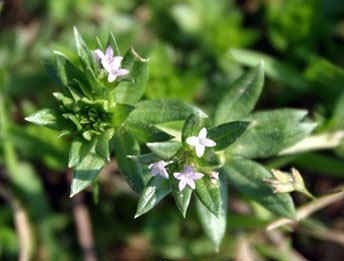 Additionally, the leaves of field madder are more lanceolate and have much more of a distinct point than those of the bedstraw species.